My ex has sold the house and we're clearing out and having a garage sale this weekend. I left a bunch of stuff when I moved out, including my espresso machine and burr grinder. They were gifts from my aunt. 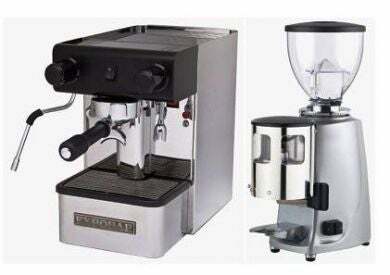 I LOVE the idea of having a nice machine but I always tend to go out for coffee and I wonder if I should sell these to pay off some debt (yes, you don't have to point out the irony here). I will never be able to afford such nice machines again so I feel like in a way they are a good investment to keep (together they retailed for around $2K). But...I'm not really sure. What would you do?